Happy Hump Day my dear friends! I hope you're all having a great week so far! Today, I'm excited to announce that I've teamed up with JCPenney for their October Worthy Fashion Tips campaign. 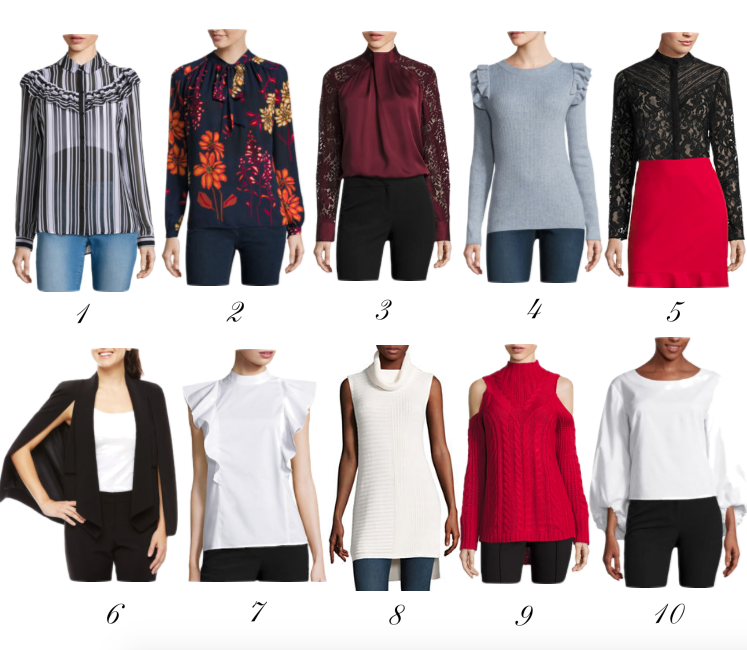 The campaign is focused on how we can create fashionable, on-trend outfits using both high and low-end pieces, a technique I incorporate in my everyday outfits, which if you've been reading for some time now, you most certainly have noticed! I tend to favor luxury purses above all else because I feel they're reasonable investments that you can get the most use out of and throughout time, due to the great attention placed on craftsmanship, can become vintage heirloom pieces. A great bag, regardless of name or designer, with great focus placed on quality and detail, can really make and enhance an overall outfit, creating a nice polished effect overall. When it comes to various styles and trends, investing may not always be the best option, especially when experimenting, because only time will tell if what's deemed a trend can in fact reflect your personal style overall or if you'll even get the most wear out of those items, which is why shopping sales and affordable retailers, such as JCPenney makes sense to me. As per our discussion in the comment's section of the Sweater Weather post, I shared how I've been searching for cozy sweaters, which is what prompted me to select this burgundy colored sweater by a.n.a A New Approach (a JCPenney exclusive brand) to see how I'd like the fit and coziness and you guys, it's extremely warm and cozy; I look forward to styling it more this fall and winter and I think I may snag the 'Crema' color next! Below are some of the other JCPenney items I'm loving that are both stylish and trendy and most importantly, affordable! I have to be honest and say that I was pleasantly surprised at the selection of both fashionable and trendy pieces I discovered. I used to shop at JCPenney years ago and hadn't for years because I wasn't finding many items that were reflective of my personal taste, but much has changed since then and I look forward to shopping in the future. Oh, and it's worth a mention that I've noticed they have Sephora shop on their site, which is awesome for all you makeup and beauty lovers! What is the one luxury item you'd most likely invest in and what is the least? What's your favorite piece(s) in the sets above? Thanks so much for stopping by, my dear friends, and I hope you have the most amazing day ahead! Disclaimer: This post is in sponsorship with JCPenney, all opinions and suggestions stated are my own. Next: How to Select the Most Flattering Ponchos for Your Body Shape! Previous: The One Easy Trick That Will Make Your Outfit Appear More Stylish & Flattering, Too!